and the best customer service available. such as fabric appliqué and the creative use of Swarovski Austrian crystals. become a worldwide leader in fashion design for the sport of gymnastics. sharing many years of gymnastics competition experience. which have dramatic style, dazzling elegance and superior comfort & fit. Made in Virginia Beach, USA – Dreamlight will fully customize your design giving you the option to choose your fabric, fabric, color and SWAROVSKI ELEMENTS! DREAMLIGHT ACTIVEWEAR HAS BEEN A MERCHANTS OVERSEAS CUSTOMER SINCE 2006! 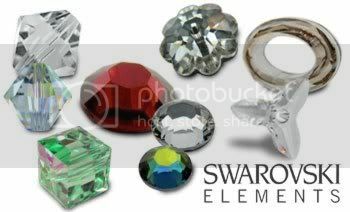 Free Freight Friday and SS40 SWAROVSKI Flat Backs Special! Merchants Overseas has two great customer offers this week. 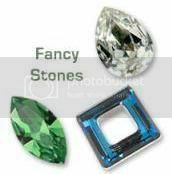 Free Freight on all wholesale orders over $250 as well as a very special stock opportunity on the largest size of SWAROVSKI ELEMENTS Flat backs. The SS40s are now available in a large range of colors with no minimum order needed. Normally these flat backs have large 200 gross minimum order quantities, however Merchants Overseas has exclusive stock making them available in normal 1gross package units! Take advantage of this unusual stock opportunity!! A Collector’s Dream – The Swarovski Limited Edition Red Tip Holiday 2010 Ornament! As the holidays approach faster and faster, time is running out to get your hands on one-time only collector’s item. New Create Your Style Halloween DIY Projects! This new Halloween-inspired Create Your Style with SWAROVSKI ELEMENTS Guide offers 13 pages of fun! Pre-Order SWAROVSKI ELEMENTS 5020 Helix Beads in Exclusive Colors! The 5020 Helix Bead is a round bead with unique spiral faceting. This bead is the perfect option for creating organic and distinctive designs. Be the first with these hard-to-find colors! 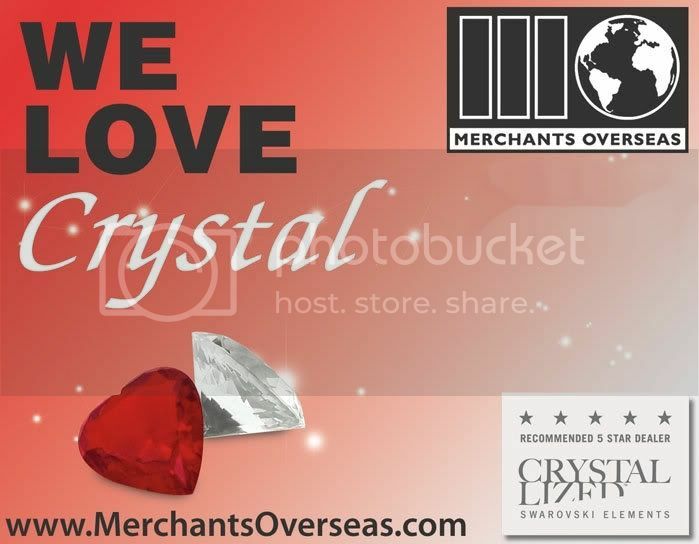 Merchants Overseas Will be Exhibiting at The Special Event 2011! The Special Event Show is the largest gathering of event professionals in the world! 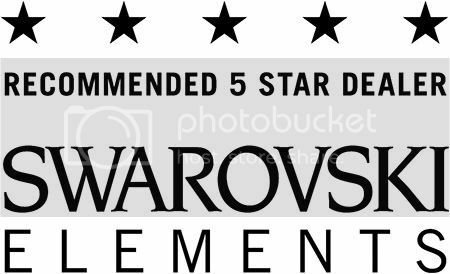 Merchants Overseas, the largest 5 Star Recommended Dealer of SWAROVSKI ELEMENTS and the Official Distributor of The BEADELLE® Collection, will be there showcasing the many easy ways you can add sparkly “bling” to a special event. Check out our feature in The Special Event Show’s Floor Guide to great products!